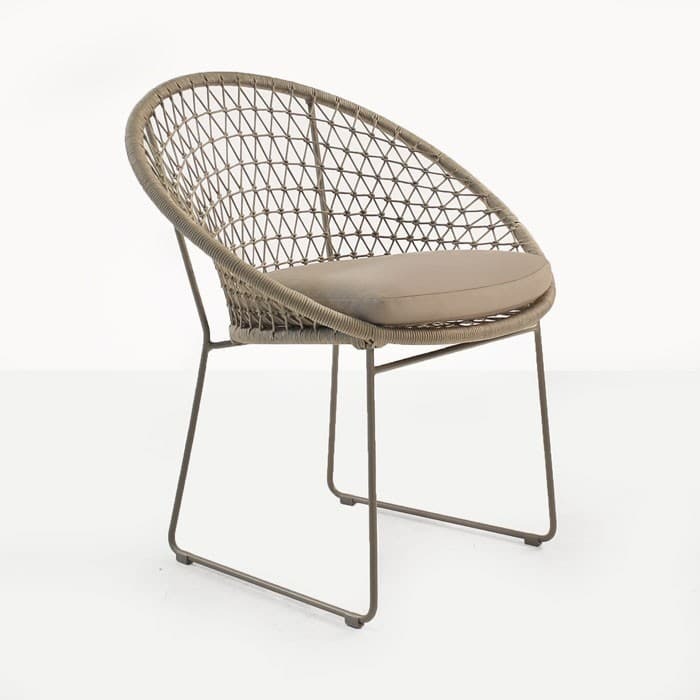 The Natalie Rope Dining Chair is not only eye catching and stylish; it is also an excellent choice for outdoor dining and pairs well with so many of our dining tables. 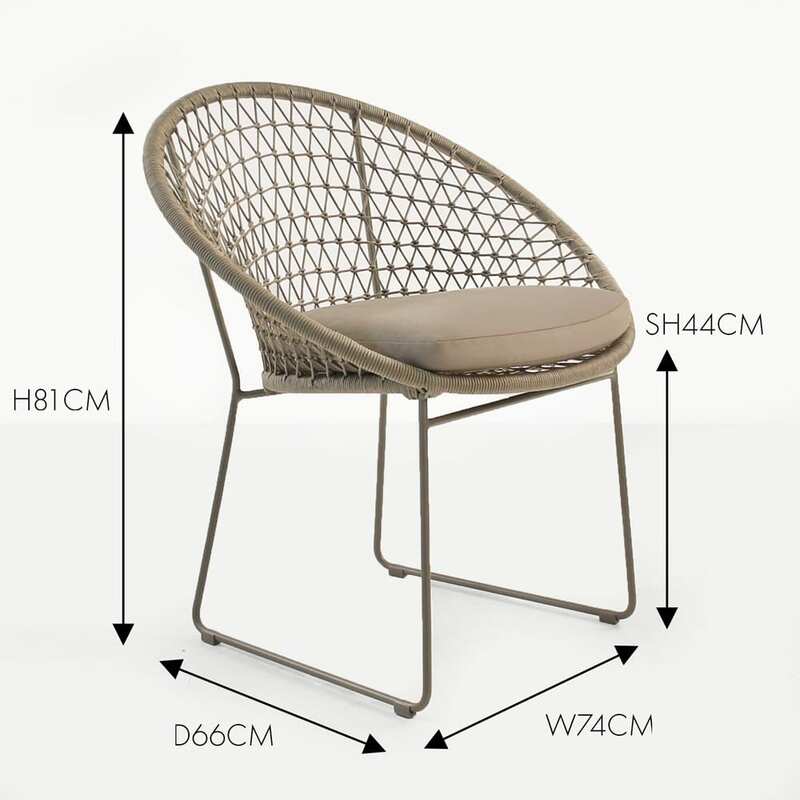 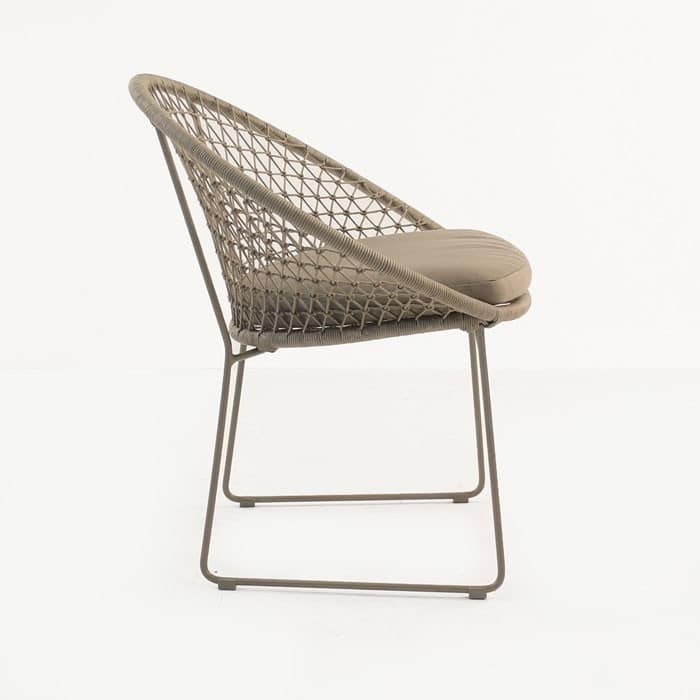 The Natalie Rope Dining chair is designed to be used outdoors. 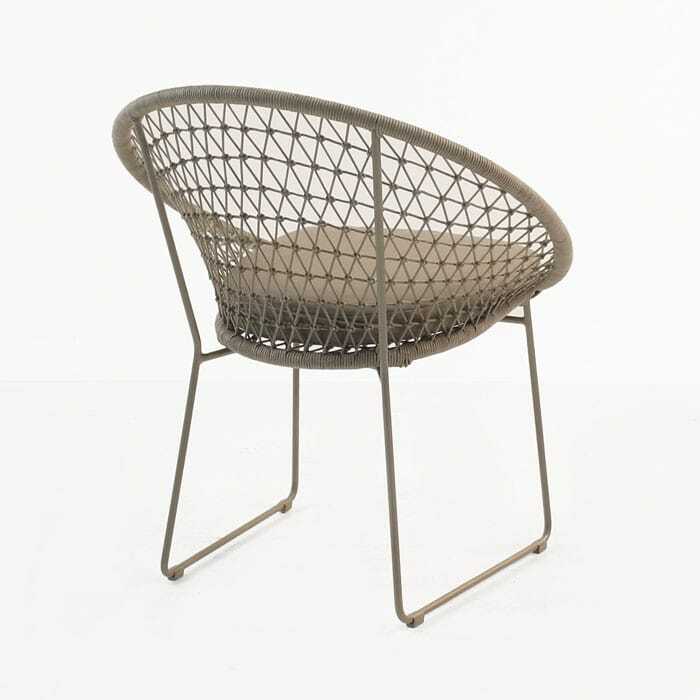 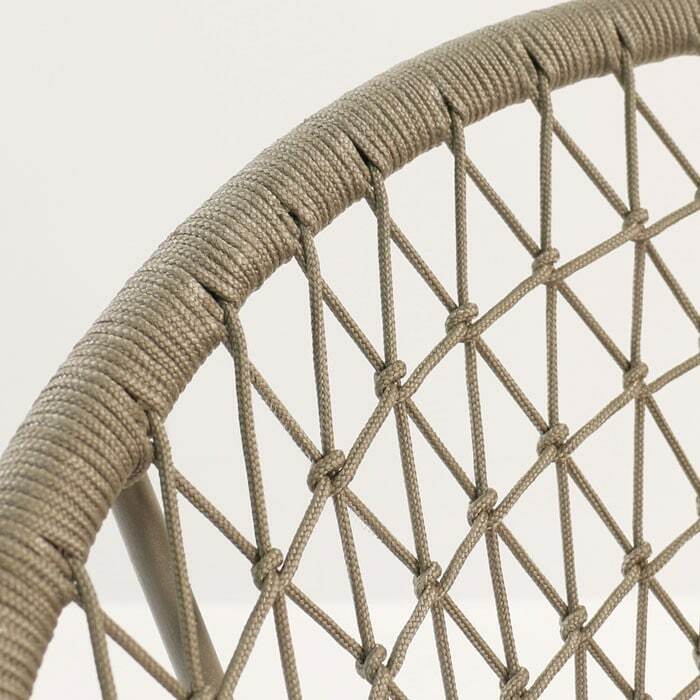 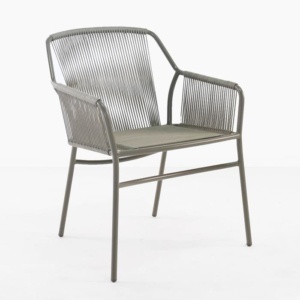 It is made with polypropylene rope, Sunbrella cushions and powder-coated steel.